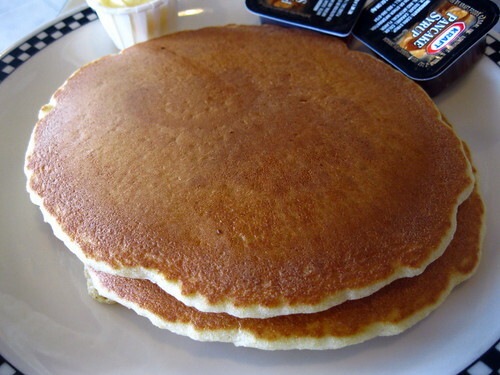 Feed(ing) the Alumna Turtle: Plato’s Diner | Hapa...Shot the Food! Hapa editorial note: As I have quite a few shots from restaurants in and around where I went to Graduate School (the nearby University of Maryland), I’m introducing a new occasional series on “…Shot the Food”: Feed(ing) the Alumna Turtle. Ah, Plato’s… Where one can get Spanakopita or scrambled eggs almost any time of the day for not an insane amount of dough (They also have plenty of the phyllo variety, though). Though I didn’t live on campus during my graduate school years at Maryland, I have many good memories of post-quizbowl tournament and post-football/basketball game dinners all the same. A few weeks ago (the Sunday after the DC-area Derecho, in fact), my hubby, in-laws, and I had a Father’s Day make-up lunch at the College Park diner. It was a little crowded that Sunday. I’m sure part of it was them generally being busy on weekends, but I wouldn’t be surprised if many escaping power outages (at least for a little while) at home added on to their number. Pictures of what we had are behind the jump, as there are more than a few of them. 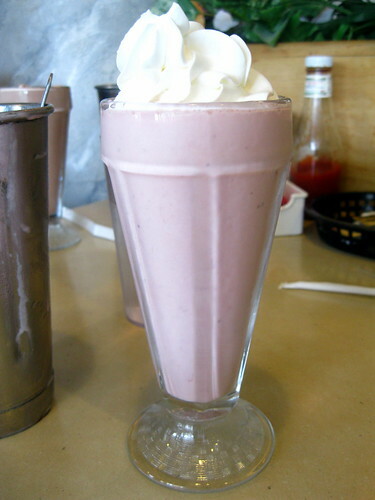 Dan ordered a strawberry milkshake to accompany his entree. 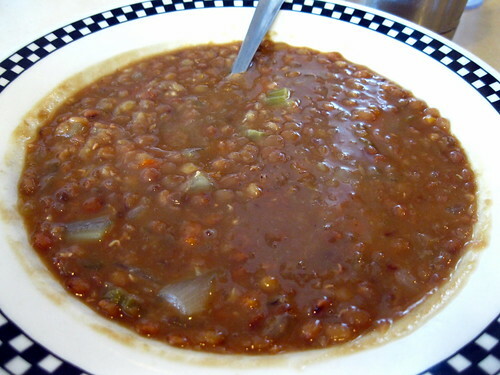 Since Dan’s entree came with either soup or salad, he opted for the Greek lentil soup. 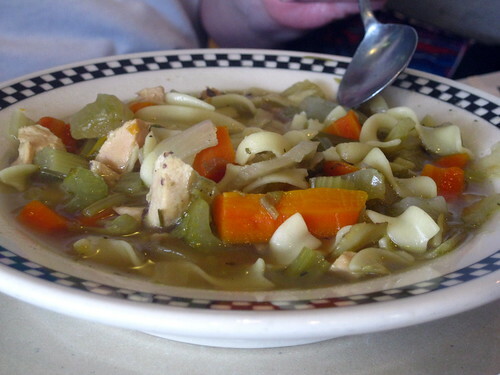 My FIL had chicken noodle soup to start… So full of chicken chunks, noodles, and veggies! I was debating between having a greek salad with falafel and having a big breakfast for lunch. I found out a little later they had ran out of falafel, so the Terp it was for me. 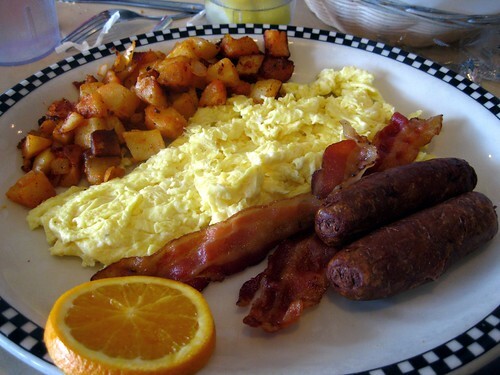 The Terp comes with two pancakes, eggs, home fries and (what I thought) was a choice of breakfast meat. I wasn’t a fan of the home fries (a bit too soft/too little crispiness for my taste), but I liked just about everything else. I ate so much food I wasn’t hungry enough to eat dinner that evening. 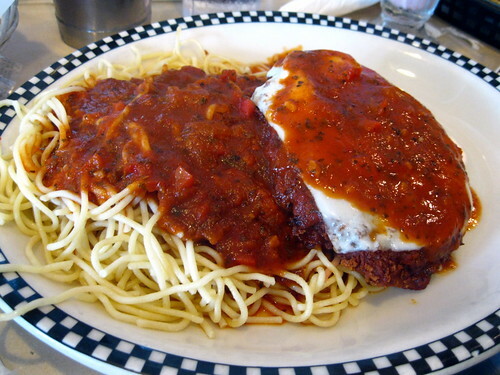 Finally, we get to Dan’s entree, chicken parmigiana. 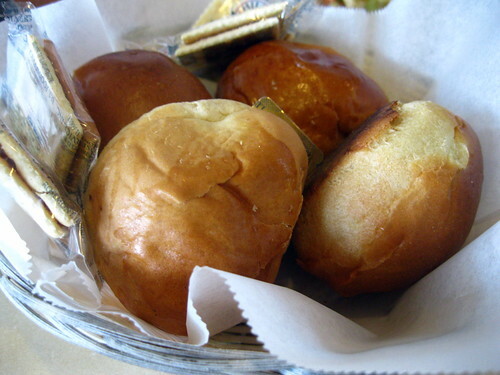 …which also came with some slightly kicked-up garlic bread. 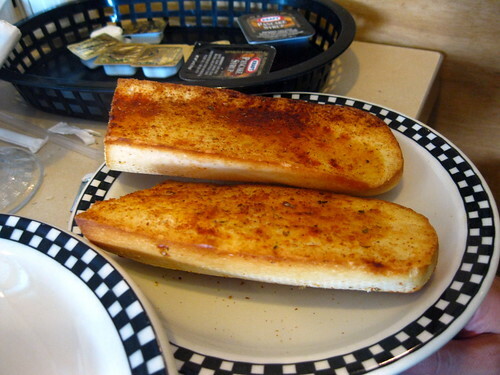 They generally add red pepper flakes. 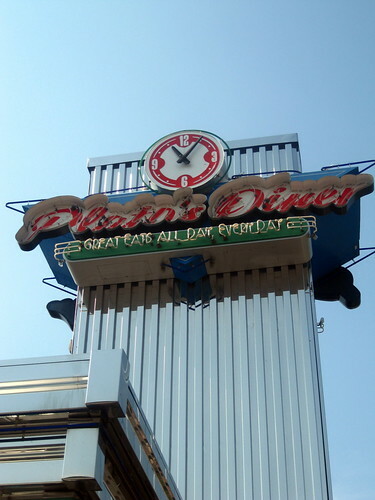 Don’t get me wrong, I also like local chain Silver Diner for many reasons, but I think I’ve been to their Laurel location more often than their College Park one. Posted on July 30, 2012, in eating out, Feed(ing) the Alumna Turtle and tagged diners. Bookmark the permalink. Leave a comment.